What is Soul? (Funkadelic) was not listed on the set list. Many thanks once again to Henrik for all of this info! 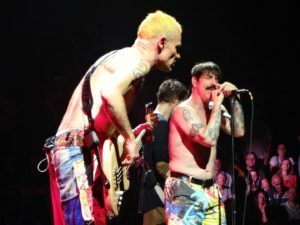 This entry was posted in Anthony Kiedis, Chad Smith, Dark Necessities, Flea, Go Robot, Josh Klinghoffer, New album, New RHCP album, Red Hot Chili Peppers, RHCP General, RHCP Tour 2016, The Getaway by Squitherwitch. Bookmark the permalink.